Are you ready for some……did ya think I was going to say “Football”? Nope! I am ready for some….Summer! This weekend we had beautiful weather that made me get excited for warmer nights and barbecuing outside. A plate for the burgers? Oh no. How about some water because the grill was ON FIRE! He grabbed a spray bottle with some water and ran back outside to douse the hamburgers and the grill with water. 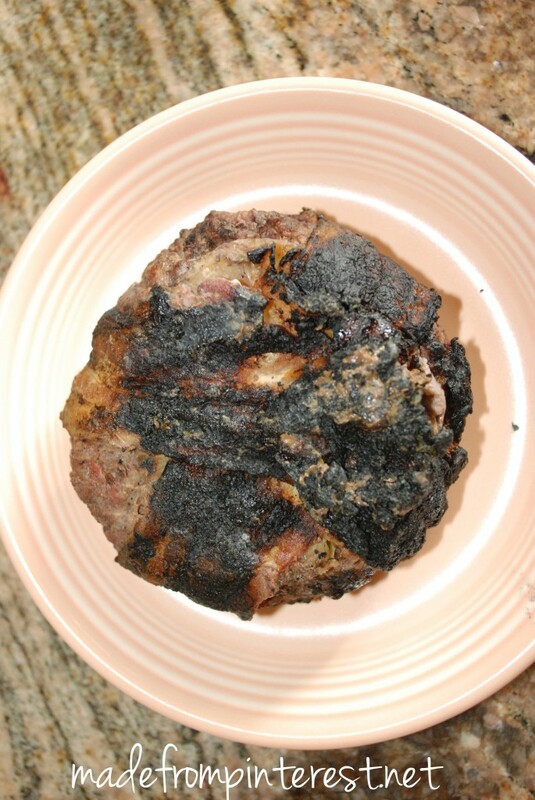 Fortunately we got the fire out but unfortunately the burgers….well….they kinda looked like hockey pucks. I was somewhat disappointed but I have some growing boys in my family and a little charbroil wasn’t about to stop them from eating these so our whole family decided to just slather some BBQ sauce on these and guess what? They were still good! So if these burgers tasted good even after being burned, then I can say that This Pin Really Rocks! Check out these sites that we are partying with today!